The current Stamping Up catty has several two-step stamping sets featured. The two sets shown in the samples are Blossoms Abound on page 99 and Wild Rose on page 88. The Blossoms Abound set was chosen to make a Get Well card for a friend. 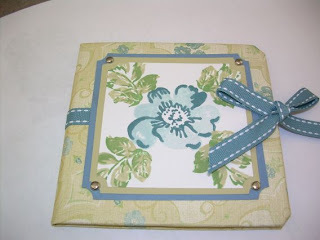 The Wild Rose is done using the In Colors to make a Post-It Note project which will be part of a May class. The two-set stamping process is so easy to do. Just chose two complimentary stamp colors for each image. 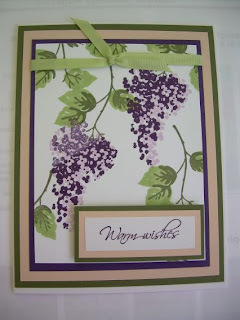 Stamp with your lighter color first and then stamp the coordinating color. If you feel you need more exactness in your stamping, use our Stamp-a-ma-jig found on page 184. For some of you the 11.95 purchase would be a great addition to your stamping supplies.